Saving one of Papua New Guinea’s endangered species, the pig-nosed turtle, has been an endeavor that ExxonMobil PNG together with partner the University of Canberra has collaborated to protect. This year, ExxonMobil PNG Limited (EMPNG), operator of the PNG LNG Project has supported the Piku project with more than K290, 000 in funding. The pig-nosed turtle or Piku, as it is locally known is only found in Southern New Guinea including the Kikori Delta, Gulf region and the Northern Territory of Australia. EMPNG Managing Director, Andrew Barry said ExxonMobil is committed to protecting the country’s unique environment for future generations. “We provide assistance to such programs because it supports and encourages environmental protection – The Piku Project is a good example of how a community-led conservation initiative can lead to real results,” Andrew said. Funding for the program funding had supported a range of activities including community outreach efforts to raise awareness about the turtle, along with monitoring to help understand how the turtle lives and the threats it faces in its environment. The program also has a capacity-building component to increase technical expertise in conservation science in PNG which includes a master’s research degree scholarship. The scholarship recipient Yolarnie Amepou, has been stationed in Kikori over the past seven -months to help deliver the various conservation initiatives. “Research is critical to conservation, to date we have trained 14 local field assistants to monitor the nesting sites, measure the turtles and 52 volunteers engage with the communities in monitoring local consumption,” Amepou said. 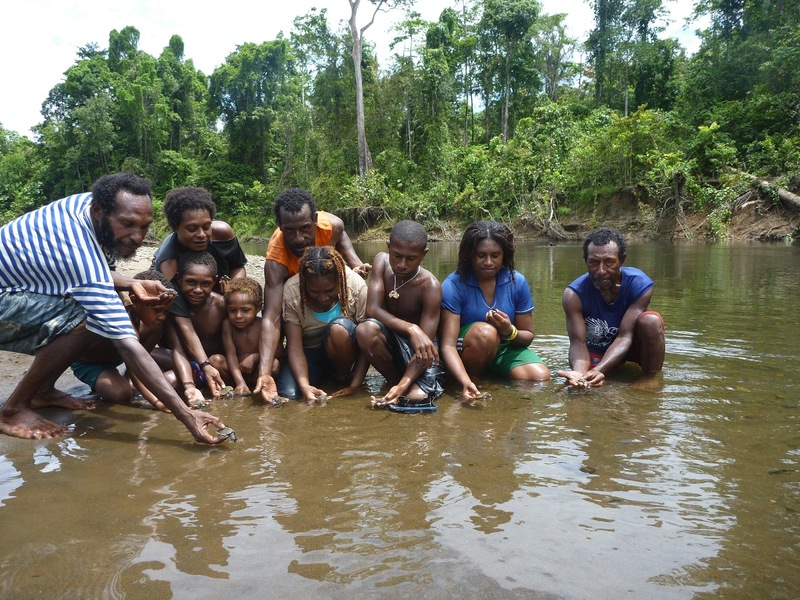 University of Canberra Professor, Arthur Georges said that the program was more than protecting an important turtle species. “It is about building community awareness of the need for environmental sustainability and protecting the turtle’s habitat for future generation,” Arthur said. In conjunction with the project, three - environment specific children’s books have been developed with 15,000 copies distributed to 14 schools in Kikori. Earlier this year the Piku Project team started working with Port Moresby Nature Park to establish an exhibit to showcase the rare turtles as well as headstart hatchlings destined to be released with a higher chance of survival, back into the water of Kikori. The exhibit is expected to be completed and open to public in 2016.